Bankrate.com ranked college majors from the most lucrative to the most likely to have you living on someone else's couch. 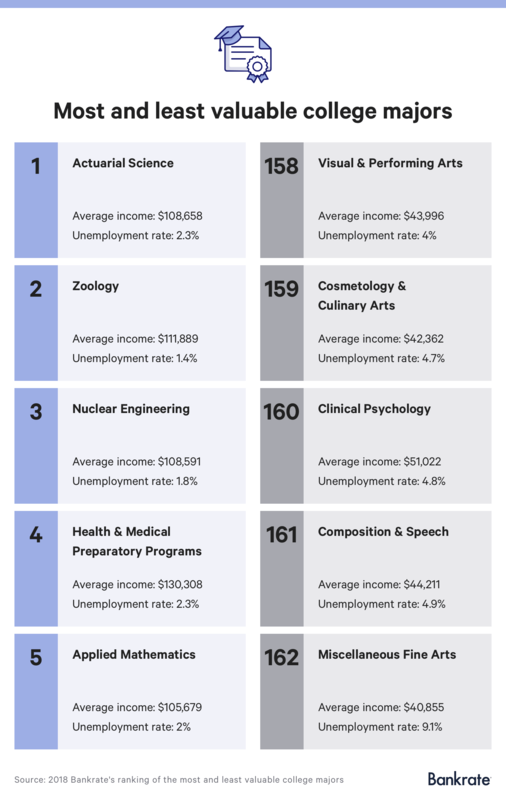 A study conducted by Bankrate.com took a look at college majors and ranked them on their post-graduate value. The study analyzed 162 majors based on several factors including average annual income, unemployment rates, and how much schooling was required beyond a bachelor’s degree. The top of this list has some predictable and some not-so-predictable entries. If you're good at assessing risk or can tell why a panda has the sniffles, you're in pretty good shape. Art lovers? Maybe not so much. Check out Bankrate.com's infographic below.